The peeling white plastered walls of the St. Dominic Church in the town of Abucay tell a lot of stories. To be honest, I wasn’t really as impressed by its facade until I came to know the history that these silent walls have borne witness to. Our group arrived at the church’s courtyard just as the sun was about to set. Too bad, it was descending right behind the edifice and it wasn’t too keen on giving off any drama that day. 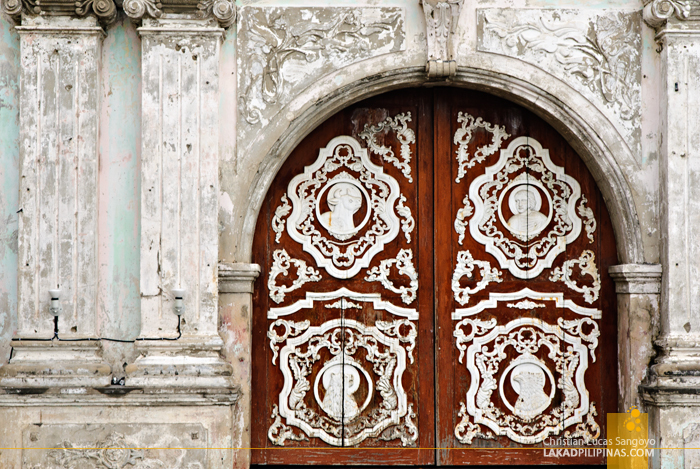 The church doors, which was embossed with figures of a bull, a man, an eagle and what appears to be a jaguar, was closed. We thought then that that was probably it and started heading back to the van right after taking a few posterity shots. That is until someone directed us to a side entrance, through a structure connected off the right side of the church where old convents usually are located. And I was immediately impressed as we went through the darkened halls of Abucay Church. 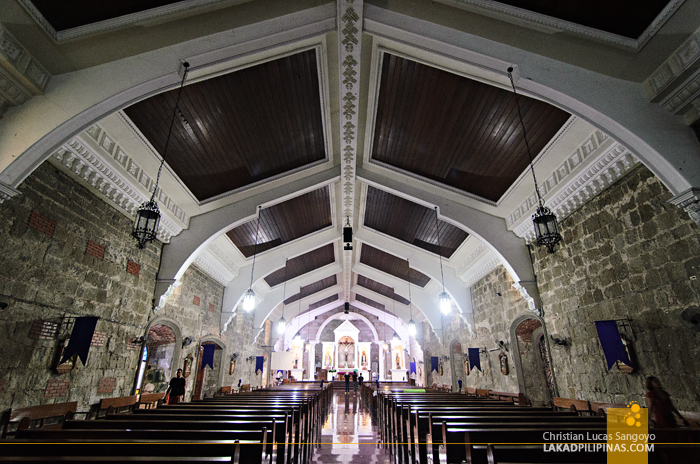 The meter-thick stone walls remain unpainted and the ceilings, well-preserved. But there’s definitely more to this church than its baroque renaissance architecture and eccentric facade. This church has seen both wondrous and gruesome sights throughout the centuries. 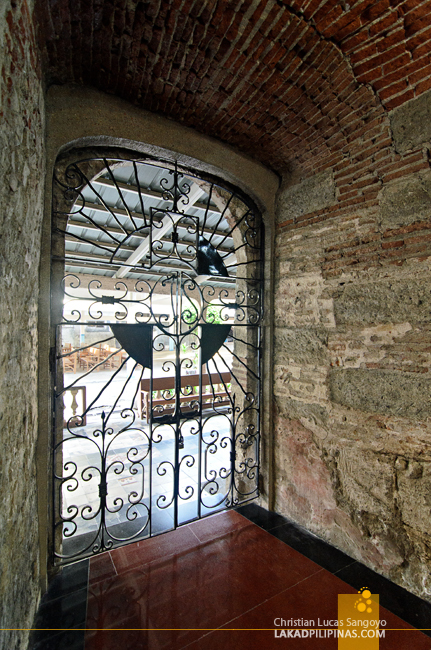 The current structure was constructed during the early part of 1600’s and was administered by the Dominicans. 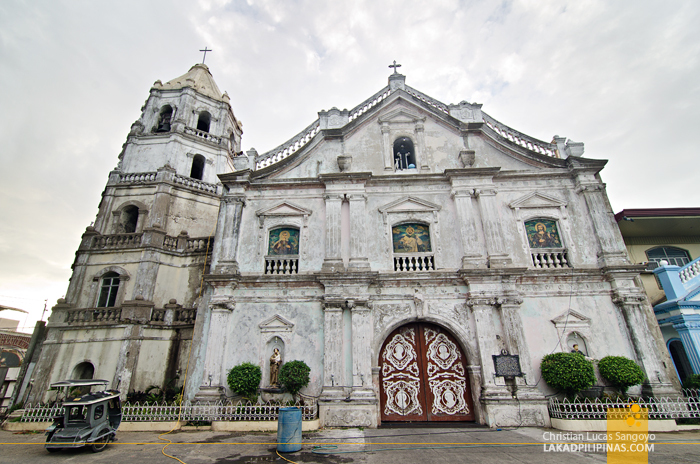 Damaged twice, by earthquake in 1852 and fire in 1870, it stood up again as Father Jose Diego Pelaez spearheaded its reconstruction. 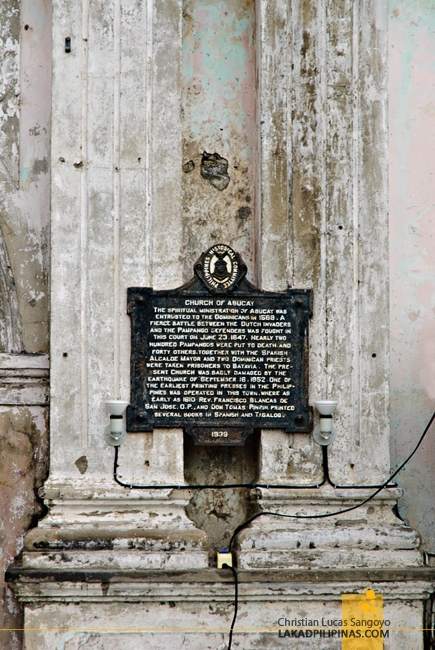 Its walls have seen the deaths of more than 200 people, mostly Pampangenos during the Dutch Invasion of 1647. And it has also been a witness to one of the first Filipino printing presses in the Philippines by none other than Tomas Pinpin, the father of Philippine printing, who by the way is also a local of Abucay. On its five-level belfry, five restored bells donated in 1839 and 1859 still rings. 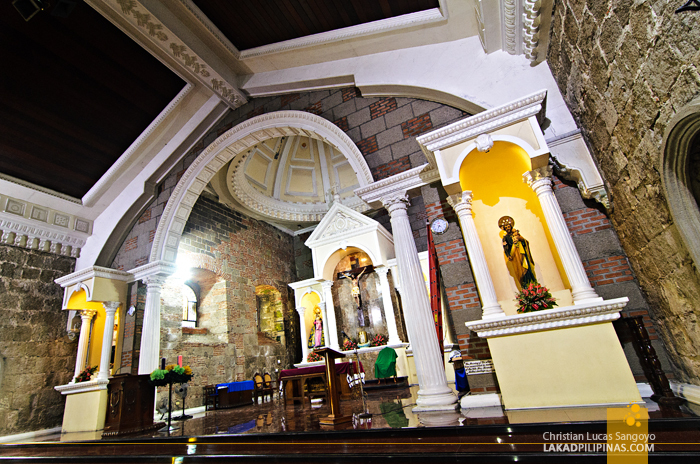 I came out of Abucay Church with much more respect that I should’ve given before I entered. Never judge a church by looks, indeed. 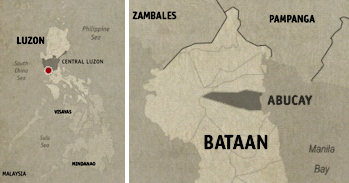 I roomed with a girl from Abucay in college and was always curious about Bataan. She never made any mention of the church, boy that is one beautiful yet cavernous church.